This shot is from one of Annie’s first dates as a solo artist. 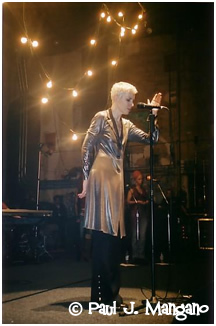 In the spring of 2003, she played smaller, older theaters across the U.S. This may have been the very first rock show at the National Theatre, which opened in 1835. -- P.M.